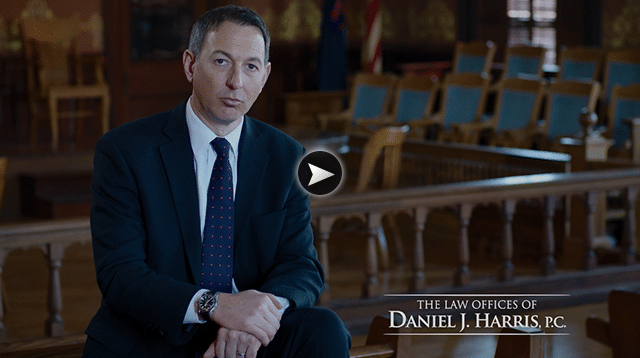 Resources | The Law Offices of Daniel J. Harris, P.C. At The Law Offices of Daniel J. Harris, P.C., we want to assure that all of your legal questions are answered in the most efficient way possible. Listed below, are links that will answer a wide range of frequently asked questions, if you are unable to reach one of our attorney’s right away, please feel free to utilize the links below as temporary guidance. As always, if you have any further questions or are unclear about any legal matters, please feel free to contact us. If you or someone you know is in need of legal assistance, please do not hesitate any longer to reach out and contact one of our local offices. A friendly and qualified member of our team is standing by to help you. At The Law Offices of Daniel J. Harris P.C., we serve all of Michigan and look forward to finding out how we might be able to serve you. *We will respond within 24 hours. All initial consultations are free. The Law Offices of Daniel J Harris were the perfect fit for us. All of Dan's staff were very friendly and knew us by name. There was never a moment we felt overlooked as a client, we were always made to feel like THE client. Dan was always just a phone call away, and we remained well informed of the proceedings of our case. His depth of connection with the details of our case and thorough explanation of all our different options at various stages in our case made us feel confident we were making the best choice for us. We could not recommend a better law firm than that of Daniel J Harris to fight for fairness in the very real struggles and trials people have to face and suffer through in cases of work related injury. I was looking for a lawyer with the personal dedication to fight on the behalf of fathers. Knowing the courts bias view of fathers in there children lives. Travis Groat did an excellent job fighting for 50/50 custody and child support. I would highly recommend Travis to secure the children's right to have their father in their life. Miranda Bailey is a top notch attorney. She represented me in a family law matter. Her vast knowledge of the law in conjunction with her experience in various county courts helped me to prevail. She genuinely cares and strives to reduce the stress of her client during a very stressful time. Highly recommend her!!! The Law Offices of Daniel J. Harris P.C. have been operating with immense success across all of Michigan for nearly two decades. Winning millions for our clients, our meticulous attorneys have spent years crafting impenetrable plaintiff and defense strategies that have helped us carry our clients to victory. Attorney Advertising: Case results depend upon a variety of factors unique to each case. Case results do not guarantee or predict a similar result in any future case. © 2019 The Law Offices of Daniel J. Harris, P.C.